What Pillow is right for pain in the neck? 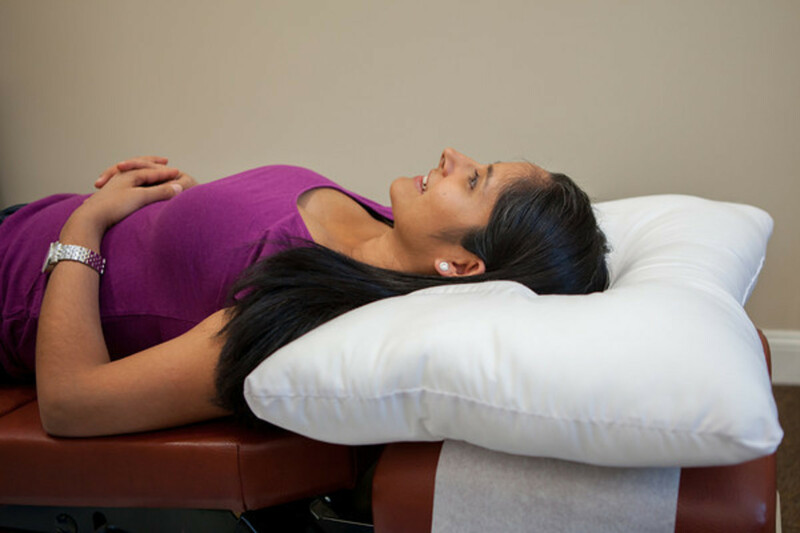 So Many Choices for Neck Pain Treatment - Is choosing the right pillow one of them? There are many things that you can do if you have neck pain. You do gentle neck stretches, you can go to the chiropractor, You may choose to take some pain medication. Maybe you choose to use a hot pack for 15 minutes on your neck. Another solution for neck pain is to use a neck pillow. Knowing which neck pillow to choose is important as there are many choices on the market today. Choosing the right one is key to stopping your neck pain. Often times when we have neck pain, we can only sleep on one side. The side that is most comfortable. The side that causes the least pain, and the side that alleviates some of the pain. So you want to choose the pillow that will allow you to sleep on your side and on your back. One example of this is the Arc4life Linear Gravity Neck Pillow. This pillow can be slept on your back and on your side. If you have to be in a certain position you don't want to sleep on a pillow that is too rigid. In fact you want a pillow that will accommodate your neck pain. 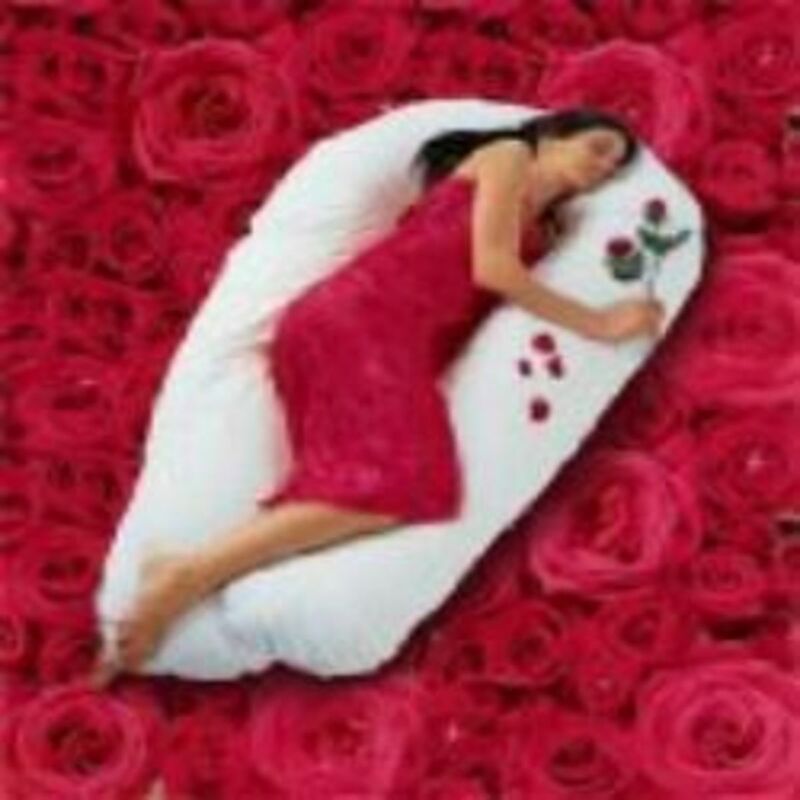 In cases such a whiplash that can be very painful, a memory foam pillow may be the best choice. With this type of pillow, the pillow accommodates you. It shapes to your head and neck. 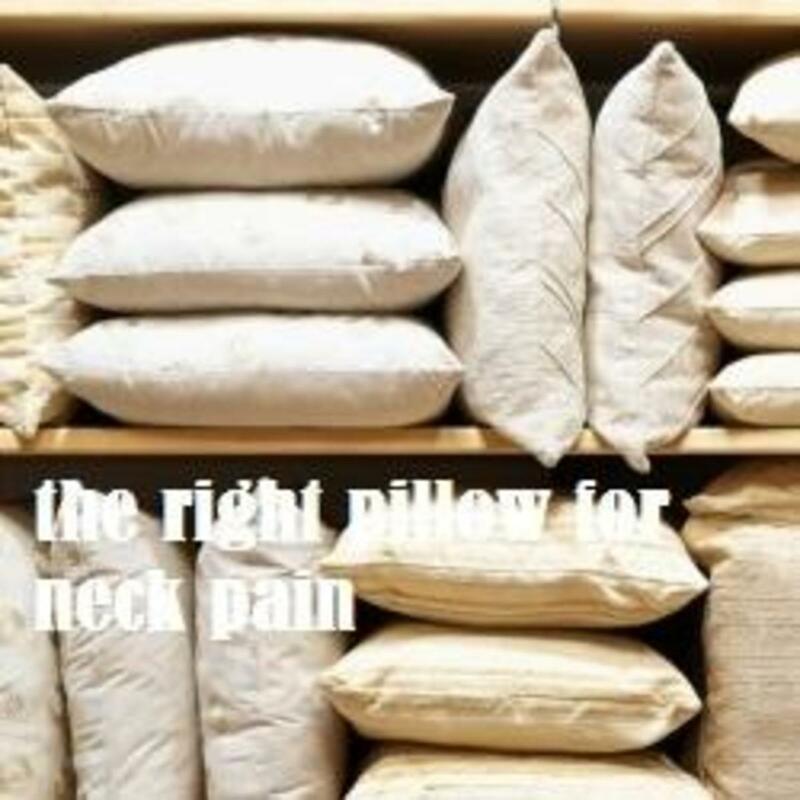 When you are in severe pain, this type of pillow is the best for your head and neck. This type of pain is super annoying and can limit you your activities during the day. The pain can be shooting in nature and you may also experience numbness and tingling into the arms and the hands. For this type of pain, you need a pillow that is going to give your neck a gentle stretch. The arc4life traction pillow works well for this. Here again, you want to get a neck pillow that supports and stretches your neck. 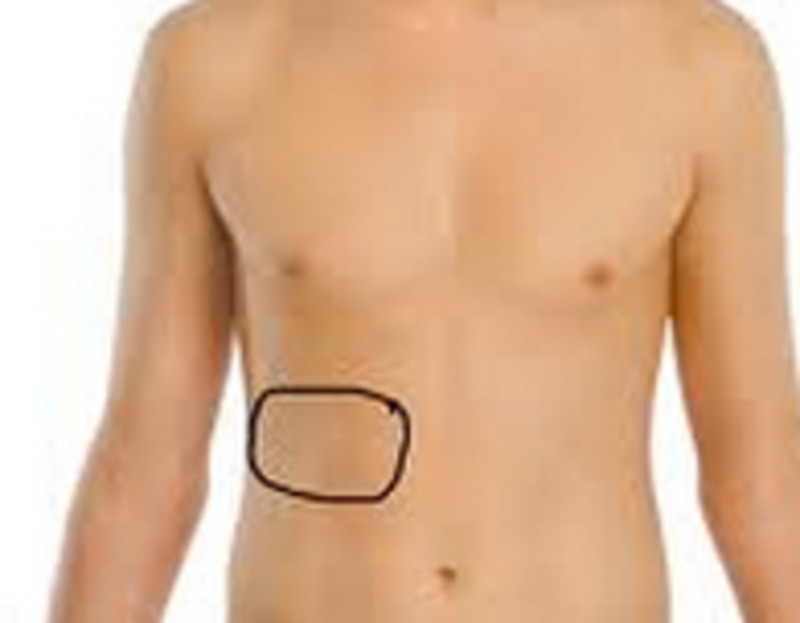 The arc4life traction pillow works great for this condition. You want to use the V or traction side of the pillow. Arthritis in the neck can present as a stiffness and pain especially worst after activity. It can also present as numbness and tingling in the arms and the hands. Muscle spasms in the neck and shoulders as well as headaches can also be present. For this type of pain that can be described as aching and annoying in nature - get a pillow that supports your cervical spine. The arc4life linear gravity pillow works well for this type of condition. Just this week, my husband has been following the PGA Golf tournament. Guess who made headlines? Tiger Woods. For neck and back pain due to a soft mattress in his hotel suite. Having the right pillow when you travel can also help you out. No bed can replicate your bed at home. But one thing you can do is take your favorite pillow with you. Ship it ahead if you have to. This is what i do now. I travel with my favorite pillow on road trips, or I ship my pillow ahead of where ever I sleeping. Saves me from neck and back pain, and I get a wonderful night of sleep. If you suffer from neck pain and know from a recent x-ray that you do not have a neck curve (aka military spine) than you want to get a pillow that will allow you to have the proper neck alignment. One good example of this is the Tri-core orthopedic pillow. This neck pillow has contours on it, ie neck rolls that support the natural curvature of the spine. Everyone had a different comfort level that is for THEM. At the end of the day you want to be able to rest your head and fall asleep. Having neck pain can cause any position to feel painful. Something that feels good to you. So this comes down to personal preference. What do you like to sleep on: Feather, foam, fiber, buckwheat or water. Try to look for a pillow that is contoured and not flat. Some kind of support for your neck spine is very important for a healthy neck. For example instead of buying a feather pillow that is flat, buy one with a support in it. For example the Neck Pain Relief Shop sells the Feather Pillow. This feather pillow has a support built into it. Also this pillow comes in 3 sizes. Choose a smaller pillow if you are smaller, a larger pillow if you are built like a football player. What Are you Looking for in a Pillow? If you have a favorite pillow, what makes it your FAVORITE? This neck pillow was created with the individual in mind who would like to start correcting their neck curvature. Many neck pillows seem to firm to the new user; this pillow is very gentle however. What Makes the Arc4life Traction Pillow so Special? One of the important things is functionality- it not only supports the neck but it gently tractions as well. This particular pillow is called the arc4life natural alignment pillow. It is a very soft gentle support pillow. Great for someone who likes a pillow with more give. Also great for someone who is petite, but wants a standard contoured orthopedic pillow. Great for posture. Do You have a Favorite Pillows that You sleep with?